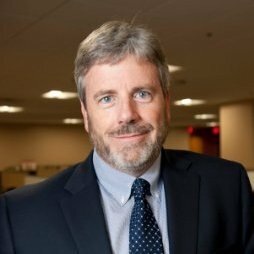 Updated 2 Oct 2017 1143 - Core Rights LLC today announced appointing Ted Ferguson as chief product officer. Ferguson was previously with Sony and Universal Music Group units, among others. His Linkedin is here. -Ed. JIM KING, the tech entrepreneur who's buying the lion's-share of Dart Music assets, plans to combine Dart and his previously separate King Strategic Partners consultancy into his Core Rights platform company. The CEO also confirmed he is in conversations with potential Seed-stage investors for Core Rights, which is based in Nashville. His most likely initial investors are industry-savvy individuals from outside Tennessee, he said. "I think we can become an important data services company for the Music industry," King told Venture Nashville. Last October, Core Rights announced it would partner with The Society of Composers, Authors and Music Publishers of Canada (SOCAN) and not-for-profit Re:Sound to build digital marketplace for licensing music rights for Canada. He's partnering with Cincinnati musictech startup Soundstr in that effort, as well, according to an earlier press release. The Dart assets that Core Rights is intent on buying include the Dart "metadata engine" that enables intellectual property rights holders, music services and other users to access clean, accurate and timely data, an advantage that facilitates proper collection and distribution of royalties, according to the auctioneer's site. As VNC reported June 8, Core Rights is now working to consummate its purchase of intellectual property and rights held by Dart Music, which has been navigating a debtor-in-possession sale process before the U.S. Bankruptcy Court for the Middle District of Tennessee, Nashville Division. In-line with a court order approving that purchase, Core Rights is to pay $203,950. King expressed high regard for Dart Music's innovations since its inception, as well as for Dart Music Founder Chris McMurtry. In the broadest sense, King said Core Rights aims to achieve two objectives: Creating much greater efficiency within the IP licensing process, as well as enabling deeper market penetration by sales-lead generation capabilities. Creating, cleaning and managing large-scale data sets. Blockchain technology is a key element within the aforementioned Canadian IP marketplace King's team is building. King said Blockchain and distributed ledger technology (DLT) development, applications and deployment are among the company's strong suits. With some emphasis, he added that he sees Blockchain as but one potential aspect of complex projects the company undertakes for its clients. On his own member profile on the Nashville Blockchain Meetup page, King answered a stock question about his knowledge of Blockchain as "Leading the way." Bolstering that case in the VNC interview, King noted that Core Rights is an IBM business partner, a Microsoft business partner and is active within the Hyperledger Blockchain ecosytem. King's own Blockchain-related activities have included serving as a panelist during the Blockchain-centric Distributed: Markets conference held in Atlanta earlier this year by Nashville-based BTC Media. Core Rights currently has three employees and four contract developers. 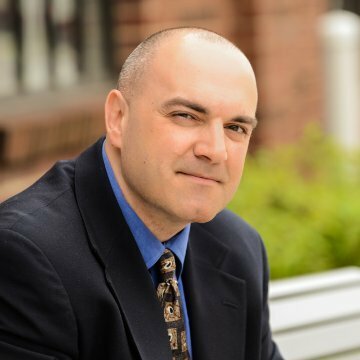 Core Rights' CTO is midTN-based John Loftis, who is also a principal in NRGHealth and was previously VP-Techdev at startup Utilize Health, as well as executive director of BMI data services. His Linkedin is here. King, himself, has decades of development and technology-management experience. He served five years as BMI's SVP Business Operations, Technology and products; was CIO-SVP of McGraw Hill Cos.; a Microsoft director of product stategy; CTO of LexisNexis and chief technologist of Reed Elsevier; and, NCR Corp. director of enterprise architecture and director of software products, among other distinctions. King said his launch of Core Rights has been largely funded with earnings from his previously independent King Strategic Partners advisory company and from the earlier sale of assets of GlooMedia, an e-commerce startup he co-founded. The GlooMedia software platform was designed to enable consumers to find providers of items they spotted on television or other media, and to support resultant purchases. That company's assets were sold to an international company, the identity of which has not been disclosed. Core Rights was originally established in 1Q 2016 as a "series LLC" to accommodate stakes in multiple businesses and markets, support of startups, et cetera, he explained. The company has since become more focused. 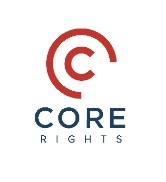 Core Rights advisors include Butler Snow attorneys in both Nashville and Birmingham. The company banks with BB&T. Note: Under the same Bankruptcy Court order covering sale of Dart assets, Dart distribution contracts with its customers are expected to sell for $25K to California-based Haawk Inc. Haawk's site says it "monitors, monetizes and enforces" holders' copyrights on such user-generated content (UGC) sites as YouTube, Facebook and Vimeo. Also under the Court's administration, Nashville's Ingram Content Group had been designated backup bidder, should one prove necessary. While still awaiting the completion of the approved Core Rights acquisition, King said he would welcome any opportunity to partner with ICG, particularly given how often his career has taken him into Publishing and Media.